The cartridge arrives packed in a generic cardboard box with decent padding, but no instructions manual nor software of any type. It is assumed that if you buy this device you already know how to use it. In this review I’m using a Panasonic FS-A1GT with the Ethernet cartridge in the first slot. 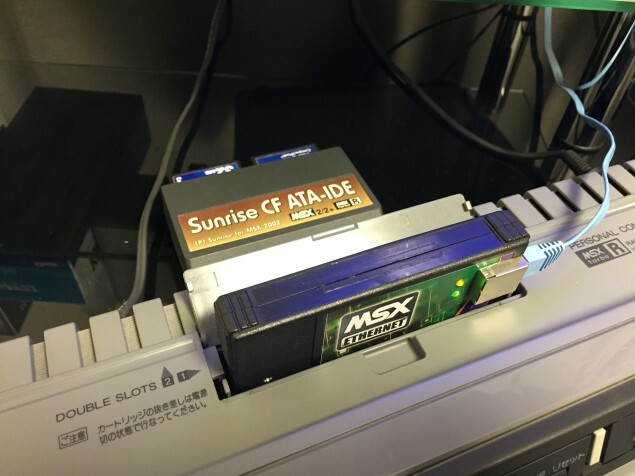 In the second slot I have a Sunrise CF ATA-IDE cartridge with two CompactFlash cards: the first one contains my boot partition, and the second card contains four 32 MB partitions for miscellaneous data. 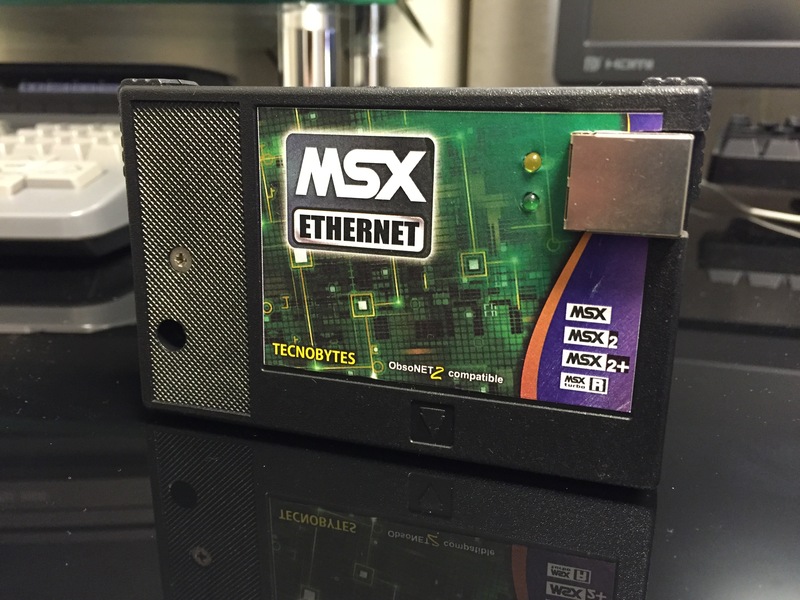 You can see the blue Ethernet cable connected to the MSX Ethernet Cartridge. The cable is connected directly to one of the LAN ports in my router. In order to be able to use the Ethernet cartridge you need two kinds of software components: a TCP/IP stack and network applications. In the MSX world, the TCP/IP stack is InterNestor Lite (we’ll call it just INL from now on). The network applications (all the ones available so far) are available from the same location as INL, which we’ll see below in a moment. Some history/nostalgia first: In 2001, Konamiman was working on his thesis for his university degree. 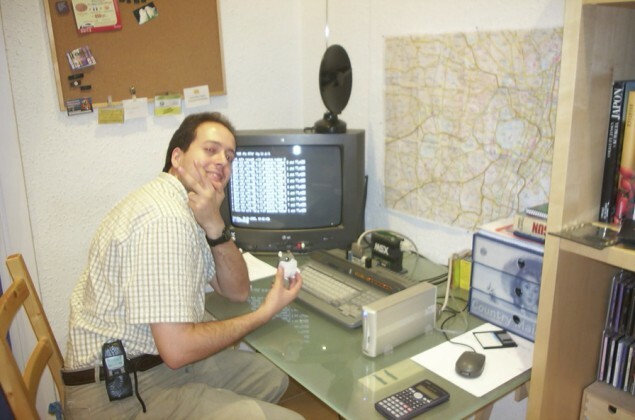 His project consisted in developing from scratch a TCP/IP stack together with some applications for MSX computers. He named it InterNestor Suite. InterNestor Suite was designed to connect to another computer using PPP over a serial connection, so Néstor had to find some crazy network guy to help test the implementation. Néstor succeeded. He was awarded the highest possible grade for his work (full thesis available here). However, InterNestor Suite was designed to be as standards-compliant as possible. 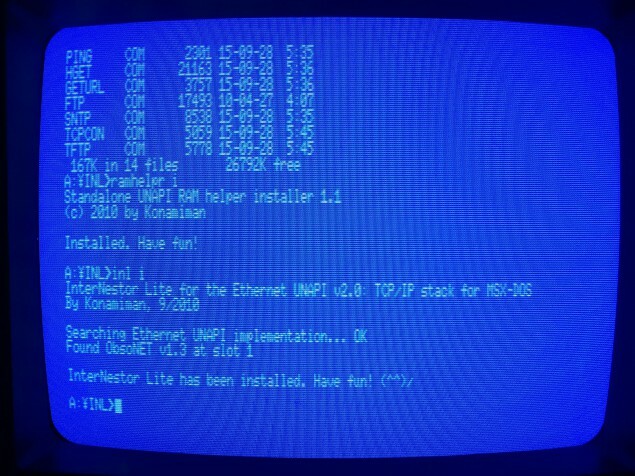 It worked fine, but it didn’t run as fast as it should, so he started working on a new version: InterNestor Lite. Long story short, the current version of INL is v2.0. If you’re using some kind of mass storage device on your MSX then you can create a directory somewhere on your disk and put the files there. In my machine I just made a directory called INL in the boot partition. If you’re using floppies then just copy them wherever you have space. 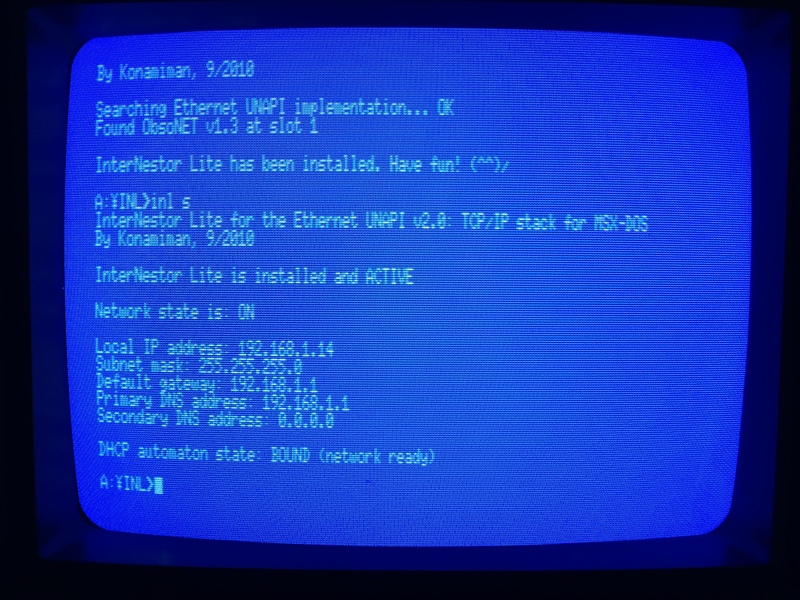 At this point you can go ahead and download everything in the Networking Software section of Konamiman’s site and put everything in the same directory as INL in your MSX. If you don’t want to download these programs one by one, there’s also a disk image that contains all of them. Please note that in this screenshot I made a directory called TDB and put all the Trivial Dropbox files in there. 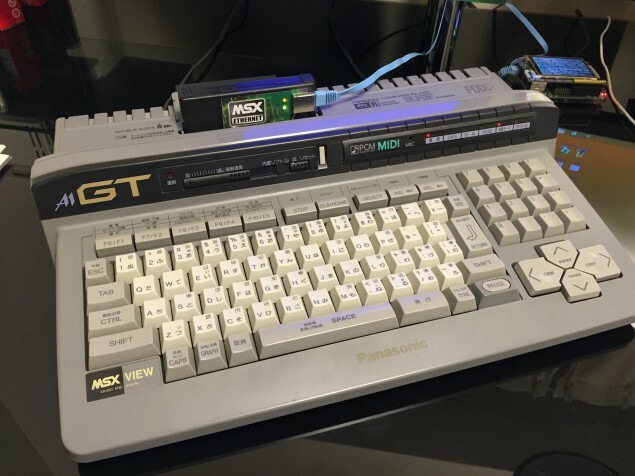 At this point your MSX is connected to the Internet. Congratulations! If your network doesn’t use DHCP then there’s an extra step: you’ll have to assign the IP address manually. More on this later in this post. 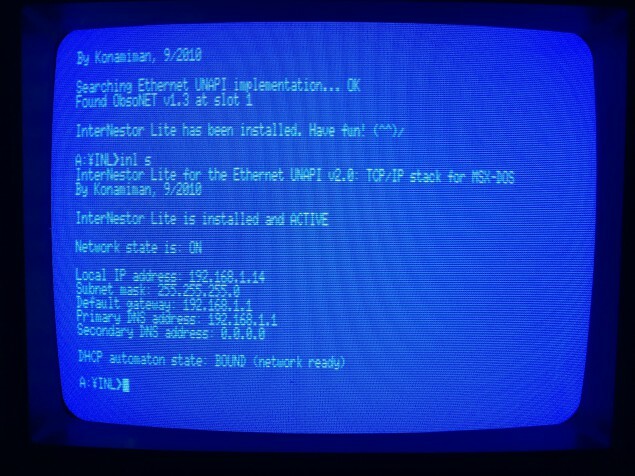 The SNTP.COM program uses SNTP to connect to a time server on the Internet and adjust the clock of the computer with very high accuracy. The easiest way to use it is to set a couple of environment variables: TIMEZONE and TIMESERVER. TIMEZONE has to be set to the UTC time in your timezone. I’m in Japan, so for me the TIMEZONE variable is +09:00 (+9 hours relative to UTC). TIMESERVER has to be set to the NTP server to contact. I used time.asia.apple.com because that’s the one I use in all my machines, but for better accuracy you can also choose one closer to your location. Sorry for the bad angle and the shaking in the video. I was holding my phone with one hand and typing with the other. Damas y caballeros, este es el primer tweet de la historia enviado desde un ordenador MSX. 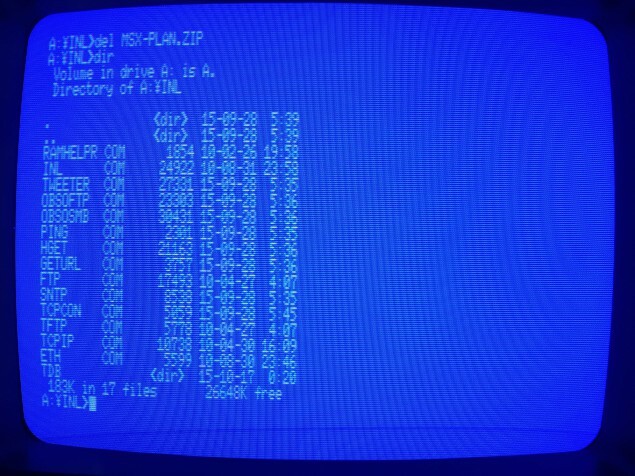 – What RAMHELPR does is to install a small piece of code in the page 3 RAM that allows to call a routine in a RAM segment by using only five bytes of code, which is the maximum size of a hook in MSX. Thus you can easily install UNAPI compliant APIs in RAM. Without this, each API would have to install its own page 3 patch! 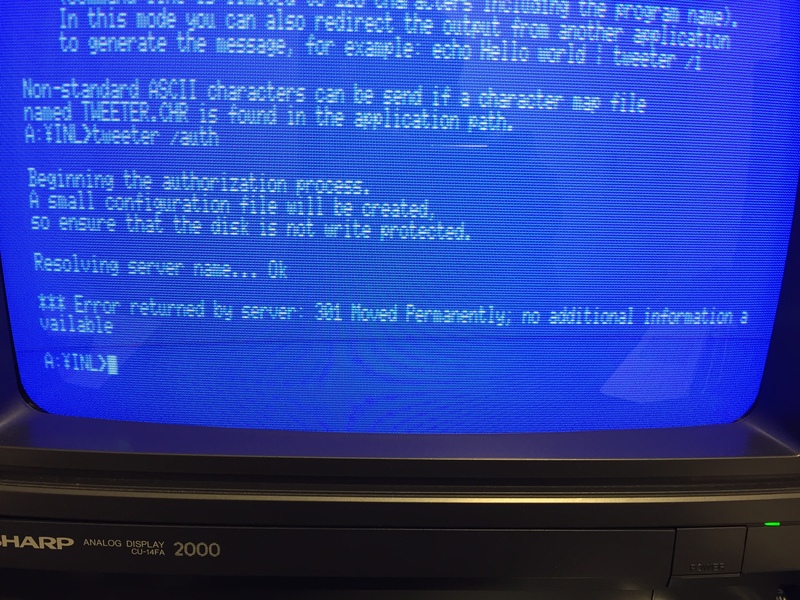 – The Twitter issue may not be as easy as changing the name servers. I suspect that as Dropbox did, now the usage of HTTPS is mandatory and therefore an intermediate server is needed to use it from a MSX. Also they probably changed the authentication mechanism as well. – Not only did I have hair back in 2001. I also had a huge 30GB SCSI HD (seen in the picture, to the right of the MSX) that has long since been replaced by multimedia cards (CF first, SD now). Yep, and you had that nice MegaSCSI and slot expander that can be seen plugged into my FS-A1ST. 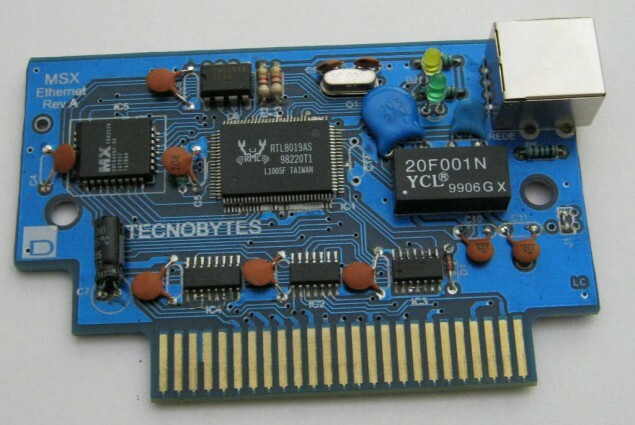 Tecnobytes group is planning to produce another batch of the ethernet card soon, for those who miss it last time. I guess now it will be possible to program simple network games for MSX. Is there any library available for that? We met in a MSX users meeting in Barcelona, in 1994 if I remember correctly. Great pair of articles, was a nice read.